Did your artistic background influence your studies here at Cardiff? I studied a degree in Journalism and English Literature, which was perfect for me as a creative because there was so much variety and freedom – and that enabled me to have unforgettable and constructive extra-curricular experiences as a part of Act One Society, A Cappella and the Operatic Society, even performing at the Motorpoint Arena! Why is it so important to create music in the medium of Welsh, to you and the music scene in Wales? It’s of utmost importance to the scene in Wales, but it’s more than that. Gwenno proves that it’s possible to appeal to people outside Wales without singing in English, which means that the ‘scene’ is healthier because it attracts the attention of people from all sorts of different places. For me, singing in Cornish is a challenge because I don’t speak the language! But I’ve certainly learned a lot from Gwenno and it’s so helpful that she and her music are so expressive; I can feel the emotion on stage. I feel that singing in Welsh and Cornish gives me the opportunity to be a different persona to who I am when singing in English with my other group, Phalcons. Maybe I have to work harder on the my expressiveness in Welsh and Cornish as not everyone in the audience can necessarily understand the words. How did you come to perform the synth with Gwenno? I was very fortunate, I have to say! She asked my partner, Alex, to play the drums first and then she said that she was looking for someone to play synths and to sing so he put my name forward. I’m thankful from the bottom of my heart for the faith she had in me. You were part of the opening act for this year’s Sŵn festival. What does the event mean to the Welsh music scene and to you personally? Sŵn has always been important to the scene – it gives an opportunity for new artists as well as more established ones. I played my first ‘gig’ in Cardiff with Phalcons in Clwb Ifor Bach during Sŵn festival last year, and therefore it was a big moment and an important festival for me personally. I like that the festival coalesce local bands with music outside of Wales which draws such a variety of people. How did you feel about headlining at Sŵn festival Wednesday evening? So excited! In addition to being able to play ‘a home gig’, we got to share the stage with Adwaith and Halo Maud. They are remarkable performers and genuinely lovely people. It was a night full of different languages – Welsh, Cornish, English and French! Congratulations to the team at Clwb Ifor Bach – it was a special evening and the room felt magical. It was evident that a lot of hard work had gone in to the festival. Sometimes it is hard to play for people that you know, but the audience were so warm which was a lot of help. 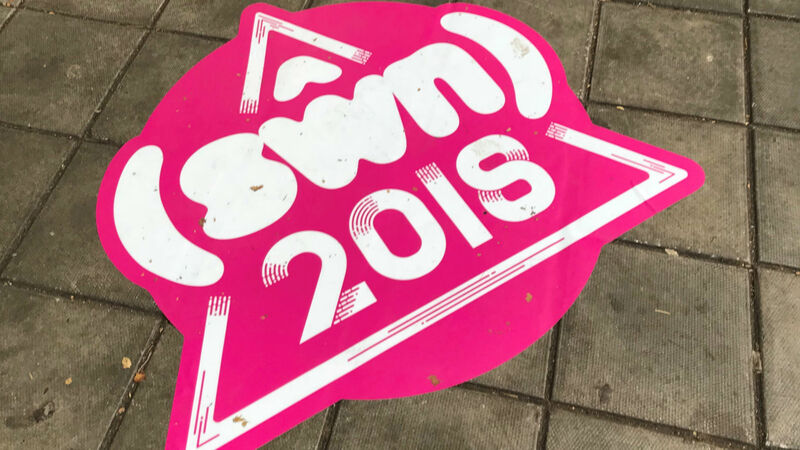 Sŵn is part of your current tour with Gwenno – what is life on the road like for you? Life on tour is incredible – you go into a completely different world (I also work as a marketing officer for an adventure company, and the two worlds contrast completely!) It’s so delightful being able to travel with your friends and partner, seeing the world while doing the thing you love! How does it feel to be held in such high esteem in the Welsh music scene – and to be recognised artistically beyond Wales, too? I can’t take the credit for that unfortunately. You’ll have to ask Gwenno! She works so hard. Where was the highlight of your performing career to date? What’s been your favourite gig to play? I think that performing on Jools Holland’s program back in May is the highlight for me. That was the dream since I was a little girl – I can remember dreaming about standing outside Jools’ studio singing whilst waiting for him to walk past – a bit strange but I was very young! Supporting Suede on tour around Europe has been an incredible experience too. Everyone was so kind and we learned a lot from them. Our plans will be disclosed very soon. Keep an eye out in the news!